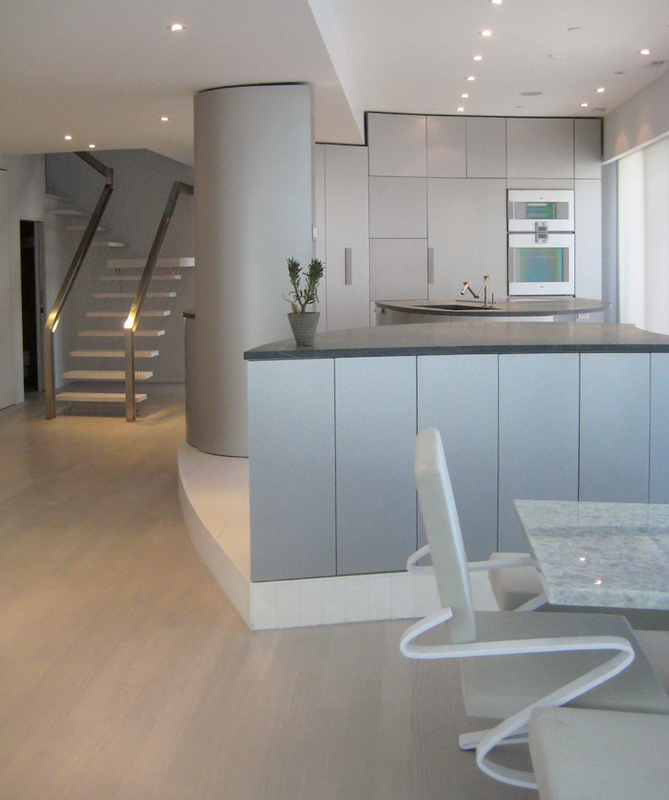 Engineered to look clean and simple to showcase an extensive Modern Art Collection. 1. Curved surfaces. 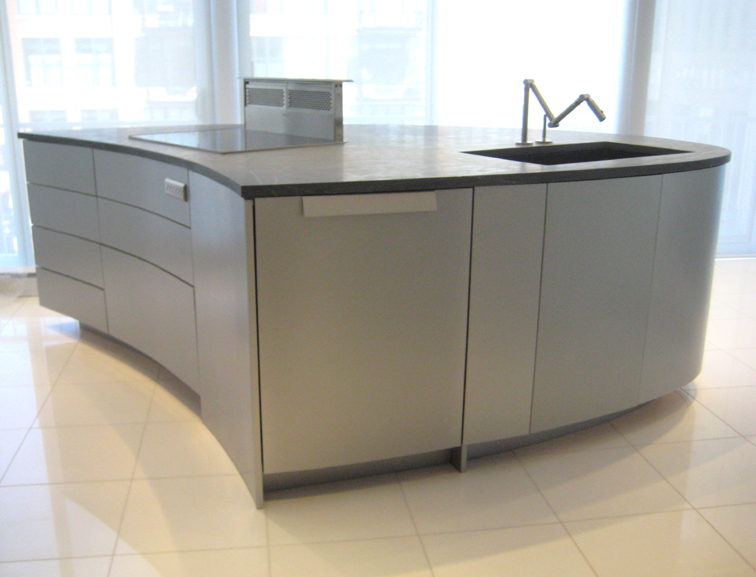 Even gentle curves were custom built to achieve the constant flow of the kitchen. 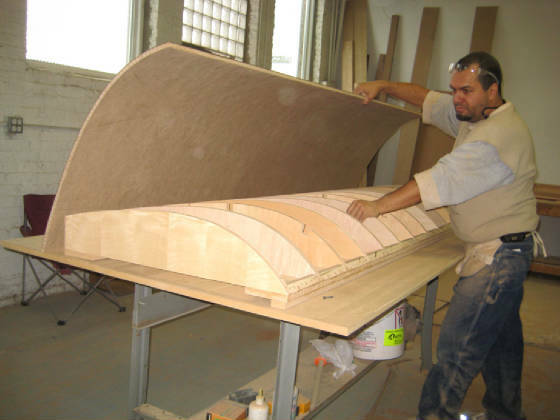 Each curved component was formed of 5 layers, over a unique mold creating 7/8 inch doors and panels. 2. Installation. 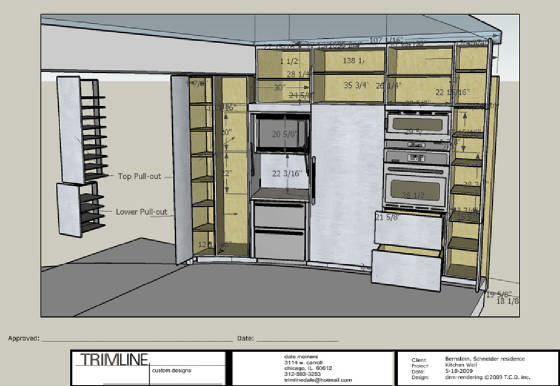 Due to the expense of the floor, the Appliance Wall was set in place, and braced from the rear wall. To allow future replacement of the appliances, the 2 exterior columns were erected first. 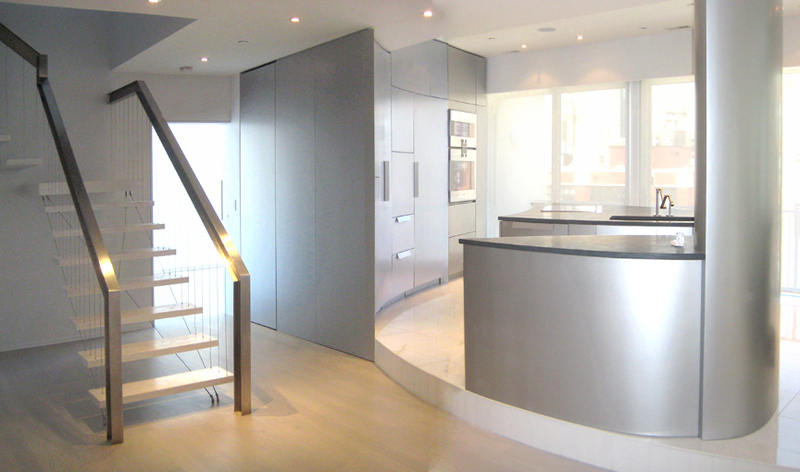 The ceiling cabinets were suspended between, and 2 cabinets where hung under the upper cantilevered section. 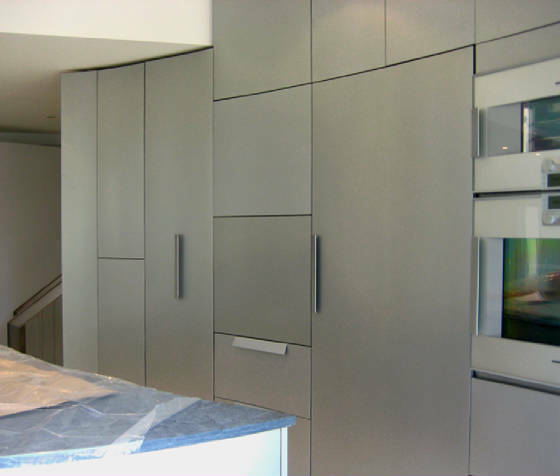 The lowest hanging cabinet is an appliance garage with granite counter. 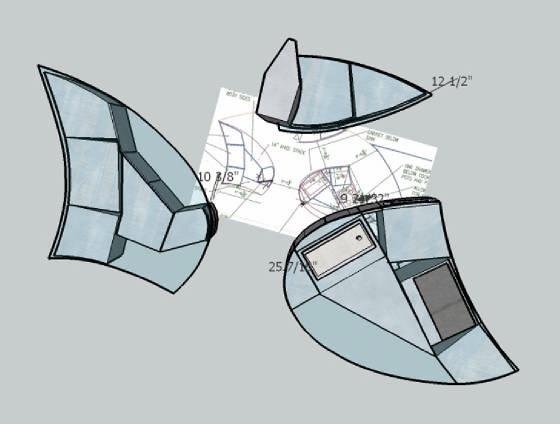 Architects' shapes were imported to create accurate, 3 dimensional rendered models. Renderings were revised until final versions were approved. 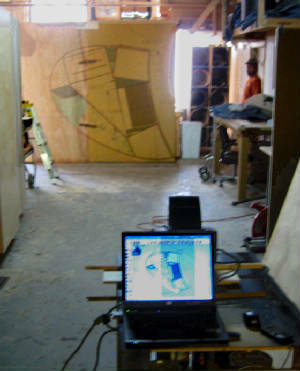 Renderings were projected to create life size templates. Templates were reviewed on site. 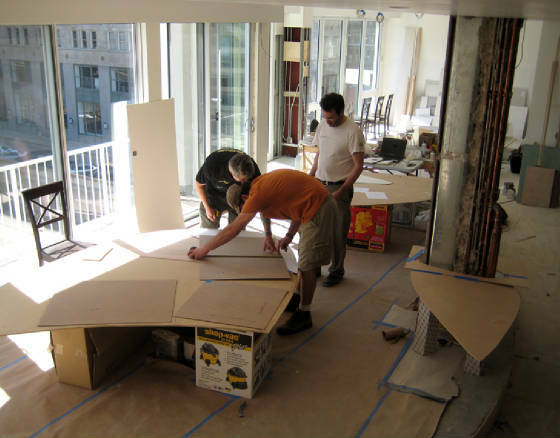 Details, including placement, appliance and drawer locations, walkways, etc., were approved by Architect (Standing) and Clients. 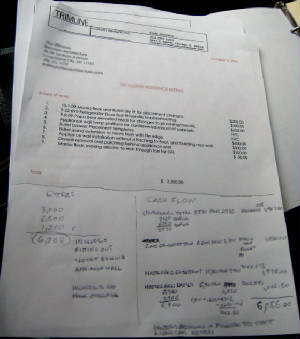 Financials were discussed throughout project. Delivery dates, additional items and incurred costs etc. were discussed with Trimline, architect and client. Column Wrap coming out of the mold. This Column Wrap was built open ended to slide over the building structure, and mechanicals. 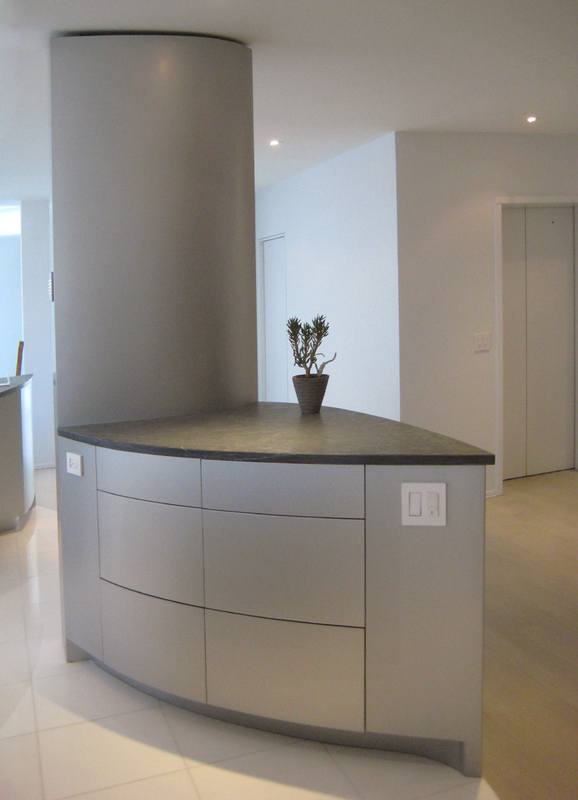 A rear plate affixed on site, housed the main condo touchpad. Staging of Column wrap and small island. Rigid curves, with a smooth wave free shape. 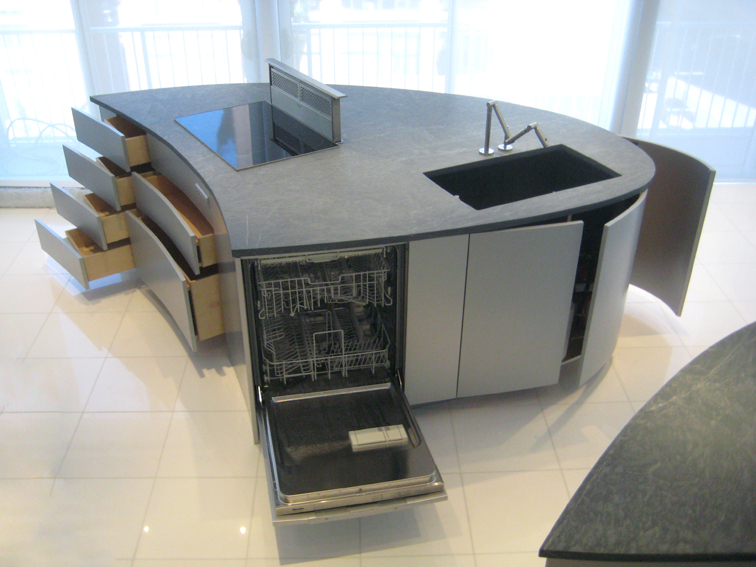 Snug fit into adjoining island with consistant reveals. 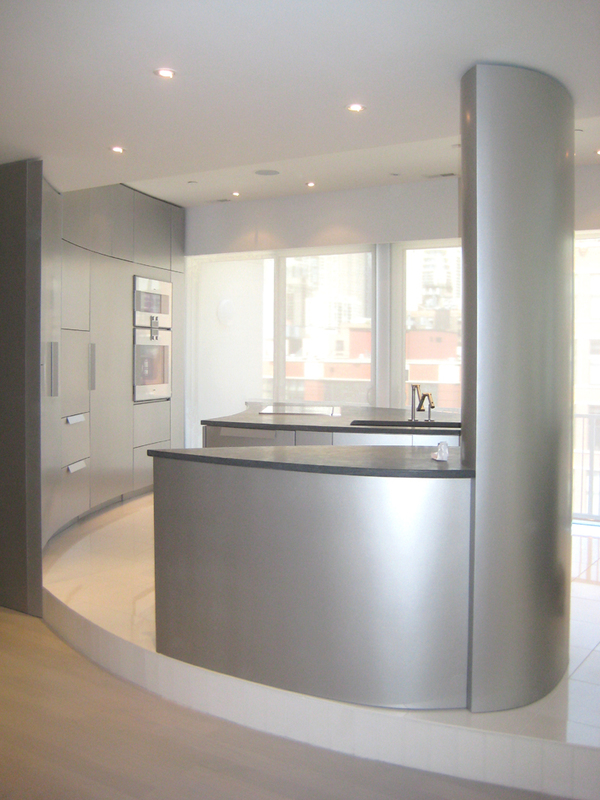 Kitchen was finished in metal flake added to clear polyurethane. No color, just metal. Take the video tour of this Kitchen. © 2014 Trimline Custom Designs Inc.